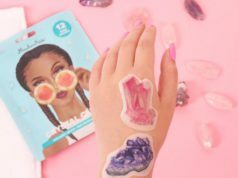 Gel manicures: the holy grail and hands down the best thing invented since flip phones – maybe not, but we all know how frustrating it was to have your freshly manicured nails chip as soon as you decide to open a soda can. When UV gel polish was introduced to the market all nail enthusiasts went insane! Our manicures lasted over 2 weeks and we didn’t have to use damaging materials such as acrylic and glued tips. But what’s happening to your skin and hands under that UV light? Our MyTopFace expert found that the more gel manicures she got, the more she’d have dry cuticles that would peel and break and she was sure it was because of the lack of moisture we retain under the harsh UV light. Granted, the machines are made to only deliver a certain amount of ultraviolet that is non-damaging when used moments at a time, but what about us glam girls that go every week to change our polish? Can you imagine how much moisture we lose? On another quest to find how we can stay moisturized after the curing of the UV gel polish, our MyTopFace experts came across a breakthrough brand that specializes in healing cuticle oils that you can use daily. UKA nail oil is a brand that is slowly becoming the #1 favorite of nail enthusiasts all over Japan, and it’s slowly making its way to the states. 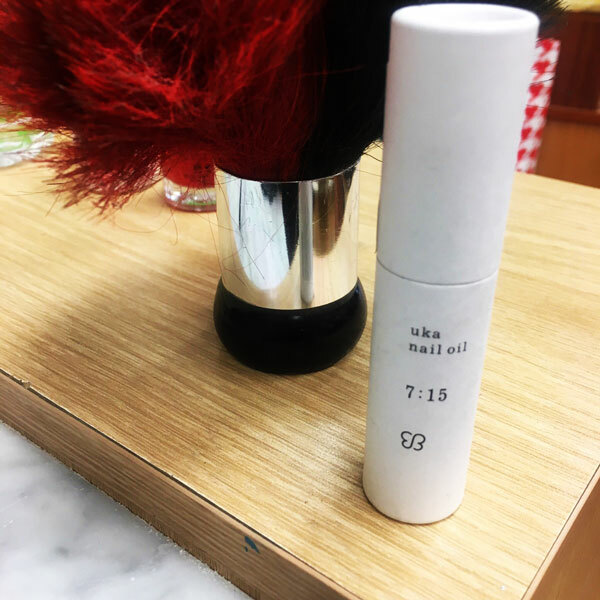 UKA nail oil is made compact with a roller ball application for everyday use and travel ease so you can take it with you and stay moisturized through the day. Each oil has a distinctive aroma that can also be used as a lightly scented perfume and is also affixed with a time stamp. The time stamps also indicate whens the best time to use the oils. There are five different Nail Oils, each one has a distinctive time and scent for the time of day it’s intended to be used. 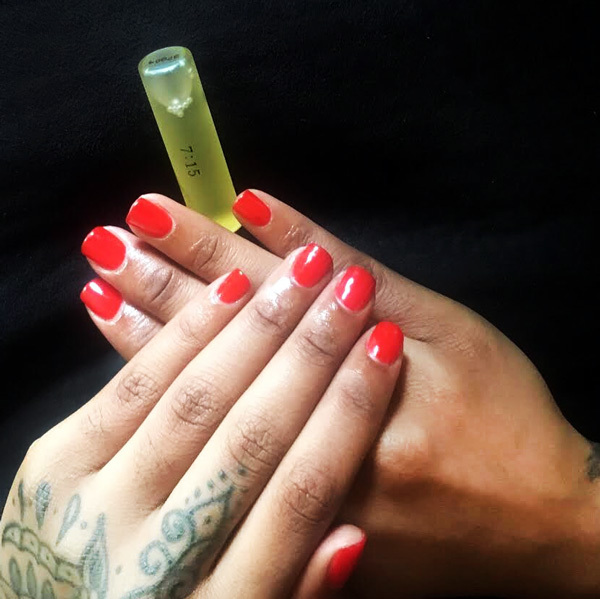 The oil our MyTopFace expert set out to try was the UKA Nail Oil 7:15 a.m., a stimulating but soothing scent of Hinoki wood, sandalwood, and bright yuzu. There are other scents available in other times. They include the 13:00, 18:30, 24:45, and the “basic,” which is made to be used at any time of the day. These nail oils are made with argan oil and filled with natural essential oils that quickly absorb and moisturize the skin. The UKA nail oil was created by a Japanese nail artist Kiho Watanabe who is widely known for popularizing nail care. As we all know Japan is one of the leading contenders in nail art and Kiho is solely responsible for every Japanese glam girl owning a bottle of This UKA cuticle oil. She has also done nail oil collaborations with Bathing Ape, among many other popular Japanese brands known in the US. Uka Nail Oil is intended to be used on the nail beds, but Watanabe also designed it so you can also use it over your hands, on your lips, or to tame flyaways. MTF Hack #1: in addition to using this nail oil as a lightly scented perfume, you can also use it as an ultra moisturizing base for your matte lipstick! 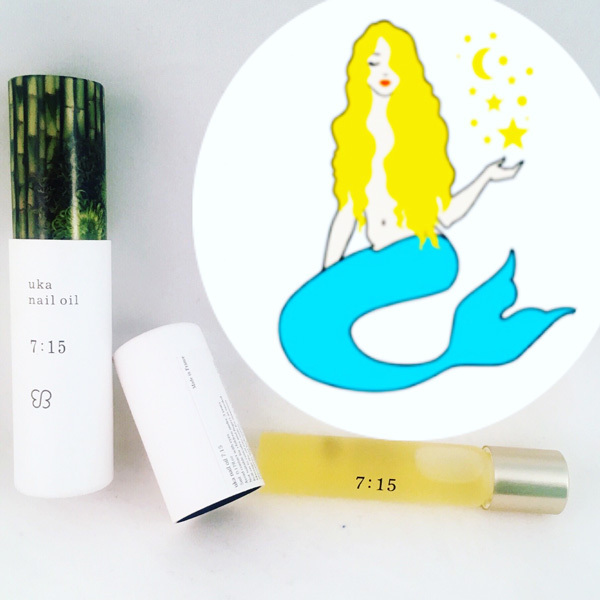 Uka Nail Oils are hard to find outside of Tokyo but are available on the e-commerce site Peach and Lily, which collects all of the top beauty buys from Asia and has them available for sale. They run at $36 per 5ml. We agree it may be a little pricey for a cuticle oil, but when you think about all the other things it can be used for (perfume, lip balm, hand oil, etc.) it seems well worth the money! MTF hack #2: you can also use this aromatic 7:15 oil as a burning oil to give our home a light & refreshing scent. Place some reed diffusers and you can also fill your home with this beautiful scent without the burn! So what’s the verdict from our MyTopFace beauty expert? All in all, this was an excellent oil that absorbs quickly, it doesn’t leave much residue after application and my nails feel much more moisturized after her gel manicure! She used it for days after her mani and her nails still look so moisturized and healthy like She’d just got them done! It was super compact and fit right in her pocketbook without taking up too much space and that’s the best part! She can take it with her anywhere and stay moisturized while her skin remains hydrated throughout the day! Our MyTopFace expert rating? 9! For its compact build that makes it easy to travel with, it’s an amazing scent that lasts through the day, it’s ultra moisturizing capabilities and it’s non-greasy feel makes it useful at any moment for any reason!Enjoy !